Claude Monet, the famous French painter, more concerned with painting the impossible than painting in the established realists’ point of view, turned the art world on its head with his painting entitled, “Impression, Sunrise.” He strove to capture the air, the light, the atmosphere. He saw the world differently. Monet faced criticism and rejection. Ultimately he had an artist’s life of hardships while critical acclaim proved to be slow in coming. His work eventually became famous, influencing the likes of van Gogh and Matisse. I believe Impressionism was born out of the need for more artistic freedom. Monet’s work blurred the harsh lines of realism, contributing to the advancement of art throughout time, and paving the way for abstract works and expressionism. I went to Chattanooga’s Hunter Museum of American Art and closely examined four of Monet’s pieces. I leaned in and studied the brush strokes. I imagined Claude’s hand as it swiftly left the impression he was given by the atmosphere of the scene. I squatted down to view the way the light bounced off the oil paint, and in which direction. The painting pictured above was there, ‘Champ d’avoine (Oat Field).’ I leaned in and absorbed the impression. It was amazing. 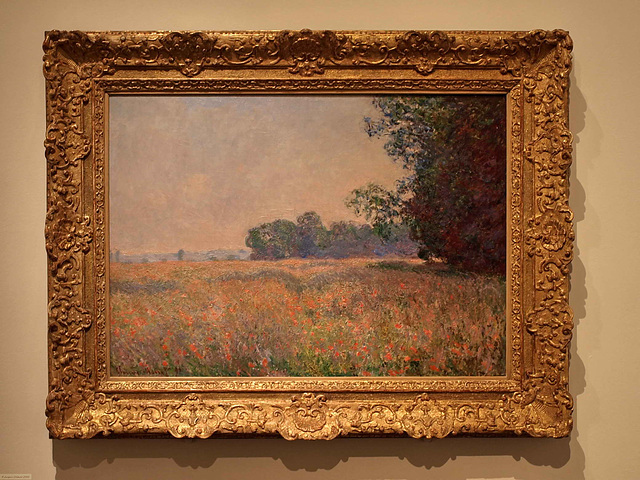 There were other paintings in the museum of American Impressionism that were beautiful, but none could compare to the original works of Monet. I found myself in a circle of fellow art lovers discussing various polite topics, such as culture, art, and our careers. Apparently, they were impressed not only by the Impressionist exhibit but also of my knowledge and experience. A retired college professor asked where I received my undergraduate degree. I explained that I was self-taught and considered life my best teacher, leading us into further discussion on the attributes of artists and entrepreneurs, ect. I thoroughly enjoy meeting those people and sharing in the brilliant conversation. One world traveler told me stories of visiting The Louvre, and art galleries in Spain. It all sounded wonderful. 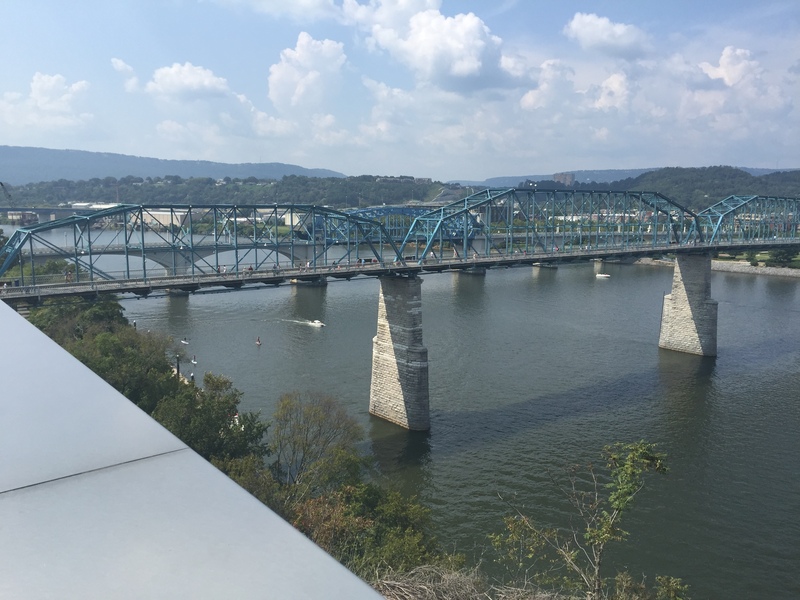 The afternoon ended with me staring off the balcony of the museum along that old Tennessee River, then walking around Chattanooga trying to absorb the day; my day with Claude Monet.